The piney woods of eastern Livingston Parish, where the community of Ponchatoula would develop in the mid-nineteenth century, was bypassed by the early settlers who sought the more valuable lands along the nearby rivers. The area that would become Ponchatoula gained interest with the construction of the New Orleans, Jackson and Great Northern Railroad through this area in 1852 and 1853. James Clark, a surveyor for the railroad company, saw the potential for development of a community along the railroad line on the first dry land north of the swamps. Clark purchased a section of land from the state government and began to lay out a new town. He used the traditional grid pattern to survey streets running along the railroad tracks, generally north-south and numbered them First through Ninth Streets, and the east west streets he named for local trees, with Pine Street logically being the main street through his piney woods development. He also left four squares of ground for public use, and a square in the center of his town for the use of the railroad company. Clark named his new town Ponchatoula after the nearby Ponchatoula River to the west of town. The name Ponchatoula is a Choctaw term meaning hanging hair, a reference to the abundant Spanish moss which festoons area trees. Clark began selling town lots in Ponchatoula in 1854 and a number of lots along Pine Street and along the railroad tracks were sold over the next few years. New settlers were attracted to the crossroads by the advantages of being able to ship their products to market from Ponchatoula Station on the New Orleans, Jackson and Great Northern railroad line. Several small wooden stores were constructed, livery stables, and even two small hotels to accommodate visitors and commercial salesmen. The village of Ponchatoula was incorporated in late February 1861 and the prospects for the community looked bright. Incorporated just six weeks before the outbreak of the Civil War, Ponchatoula¹s residents suffered during the conflict with repeated destructive raids by Federal troops. The destruction of the train depot at Ponchatoula Station, along with local road and rail bridges, and some private homes during the war was compounded by the general economic disruption caused throughout the South. Economic difficulties continued for the small piney woods village after the war because political unrest and resistance to taxation authorized by unpopular governments created impediments to growth. The local economy was based on farming, mostly for local consumption, and lumbering of the abundant pine forests near Ponchatoula. Several small lumber mills operated in the community providing lumber for home and business construction, and bridge timbers and cross ties for the railroad. Some lumbering in the vast cypress forests was also conducted in areas near waterways where the logs could more easily be removed for shipment to a sawmill. The 1870 census indicated Ponchatoula¹s population was 320 persons. After a slight dip in 1880, by 1890 the population was said to be 459, and by 1900 the figure had increased to 711. The opening years of the twentieth century saw a quickening of the pace of economic activity with the growth of the strawberry industry. Strawberries had been grown in Tangipahoa Parish for a number of years but certain events occurred around the beginning of the twentieth century which combined to make strawberry production in this area commercially viable. The railroad industry had developed refrigerated railcars which allowed the transportation of perishable goods such as strawberries longer distances thus widening the market for Ponchatoula berries. The Illinois Central Railroad Company, which operated the former New Orleans, Jackson and Great Northern line through Ponchatoula, had double tracked their entire line from New Orleans to Chicago thus shortening the time it took to transport produce. New varieties of strawberry plants had been developed which produced a larger berry that would hold up better when transported long distances. The creation of strawberry selling associations or organizations in Ponchatoula and throughout the parish simplified the marketing of the berries for local farmers, provided them a better price for their produce, and through quality control procedures supplied the distant consumer with a better product. Strawberry production, along with the development of other truck farm produce provided many local farmers with a cash income they had not previously enjoyed. This economic benefit to local farm families was soon reflected in the development of larger and more numerous local business establishments. 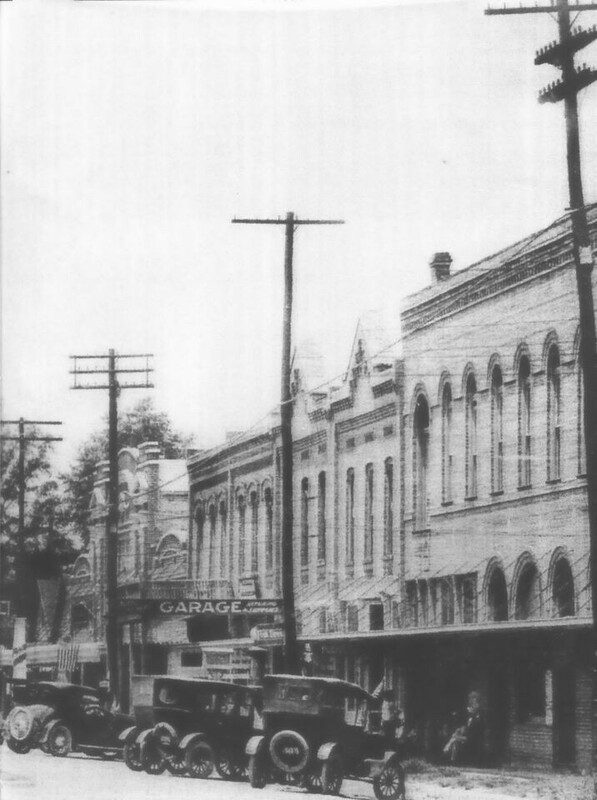 The opening decade of the twentieth century witnessed the construction of number of impressive brick buildings along Ponchatoula¹s main street. Most of these buildings constructed between 1902 and 1912 are still in existence a century later and are community landmarks that contain twenty-first century Ponchatoula businesses. The strawberry industry peaked during the 1930¹s and declined greatly after World War II, as many young men sought higher paying jobs in nearby industrial and chemical plants. Ponchatoula¹s strawberry heritage is reflected in the annual Strawberry Festival held each April which attracts very large crowns to the city. 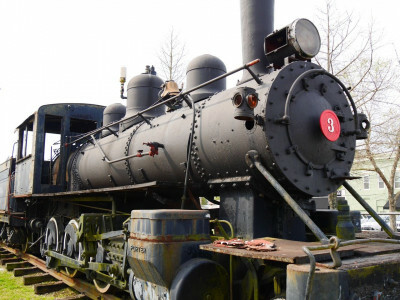 The 1920¹s proved to be a decade of great growth in Ponchatoula with the construction of two large cypress lumber mills at the southern edge of the town. The F. B. Williams sawmill and the Joseph Rathborne mill hired hundreds of workers, who with their families greatly increased the population and prosperity of Ponchatoula. 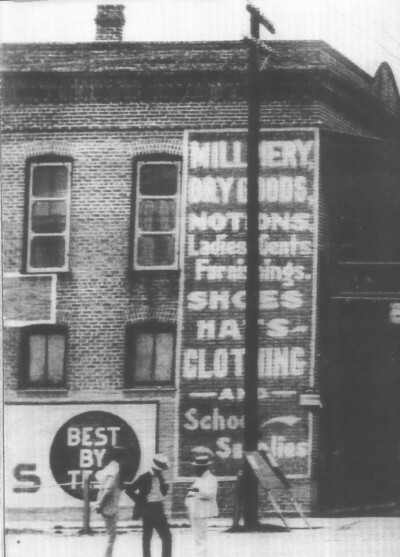 New businesses arrived in town to serve the expanding population, a new city hall and fire station were erected, as well as a new high school building, movie theater, train depot and many other structures. Ponchatoula¹s prosperity declined in 1929 as the two lumber mills closed and hundreds of workers and their families moved to other areas to seek employment. The loss of these mill jobs was followed by the Great Depression which brought severe economic conditions across America. Ponchatoula relied more than ever during the 1930¹s on successful strawberry crops to provide a living for area families. A sign of better times ahead occurred in 1936 as the Louisiana Cypress Company, operating from the old Rathborne mill site, began cutting cypress trees from a new section of the swamps south of Ponchatoula. 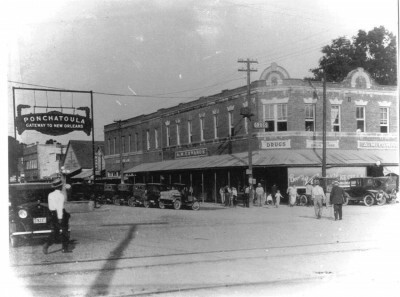 Economic conditions in Ponchatoula improved at the beginning of the 1940¹s as America moved out of the Depression and began to prepare for possible entry into World War II. Ponchatoula played its part in the war effort with large numbers of men and women entering the armed forces. The home front assisted in the war effort with school children having several scrap drives to collect iron, steel, aluminum, grease and other vital war material. The Ponchatoula area collected such a large volume of scrap metal that the government authorized the naming of a Navy tanker, and an Air Corps pursuit plane in honor of Ponchatoula. Following America¹s victory in World War II, returning service men found that Ponchatoula¹s economy was slowing changing. The strawberry industry declined after the war because of the difficulty in finding a cheap and reliable labor force to work in the fields, and because better paying jobs could be found in nearby chemical and industrial plants which had been constructed during and just after the war along the banks of the Mississippi River. Hundreds of Ponchatoula men, who like their fathers had worked on the farm, now began to car-pool to work at the plants. The higher incomes received by the plant workers helped fuel the local economy and began a several decade trend to make Ponchatoula a "bedroom community." Although many Ponchatoula residents still commute to work each day a growing, diversified economy now provides many attractive jobs in the immediate area. In recent decades Ponchatoula has developed into "America¹s Antique City," with scores of antique stores and related businesses operating in the downtown area. The existence of many historic brick buildings, which appear almost exactly as they did a century ago, adds to the antique feel of the area. The population of Ponchatoula and the surrounding area has increased greatly over the past three decades, but the community has been able to retain that small town charm which attracts families seeking a place to raise their children. A solid school system, quality recreational facilities, and a well managed city government are assets which will make Ponchatoula a destination for a new generation of people seeking a better life.